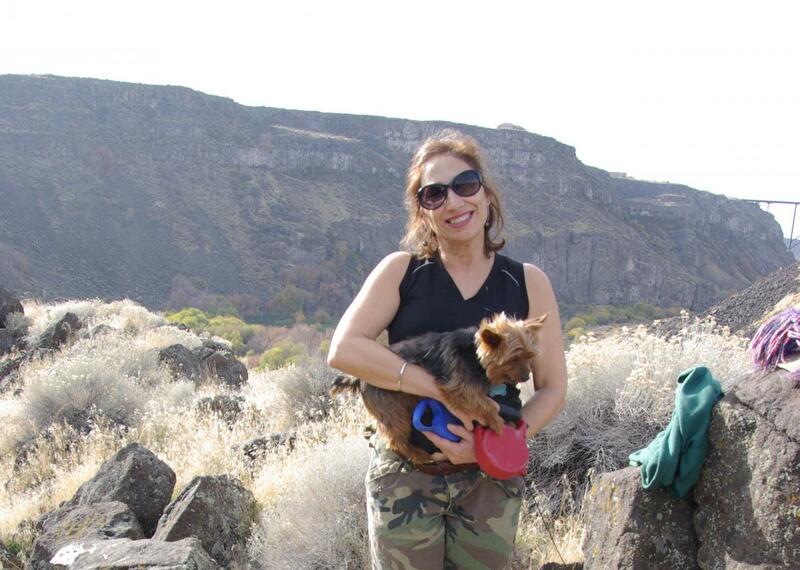 Dr. Symington and one of her dogs in Pillar Falls, Idaho. If you were smart, if you wanted to solve puzzles, you went into internal medicine. She attended the University of Washington thanks to its traditional internal medicine track for people who were more academically oriented and wanted to focus on research. As she trained to become a researcher, she always told those who asked that she would never practice medicine. “I was going to get my residency and boards under my belt, and then I was going to go to research.” Dr. Symington wound up doing exactly that. 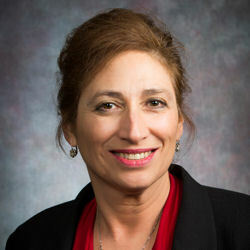 She subspecialized in hematology/oncology because she felt it offered a variety of research opportunities, including working on National Institutes of Health-funded research for seven years. Being Governor-elect and Governor for ACP helped reduce my sense of burnout. It gave me a new focus. As the events of her life took her from archeology to internal medicine, rock hunting stayed a way for her to maintain that love of searching and finding answers. In her free time, Dr. Symington enjoys the unique hobby of rock hunting. When pressed about her pastime, she explained that the pleasure in rock hunting and archelogy is “all about the find” and has a direct connection to exploration. “In Wyoming, they have beautiful, interesting rocks all over the ground. I wanted to be an archeologist, and that's all about digging in the dirt. With rock hunting, you walk around, look and find things. It's thought clearing and meditative.” Whether through the research in clinical trials, her daily work with patients or her love of rock hunting, Dr. Symington finds a basic and eternal pleasure in discovery.